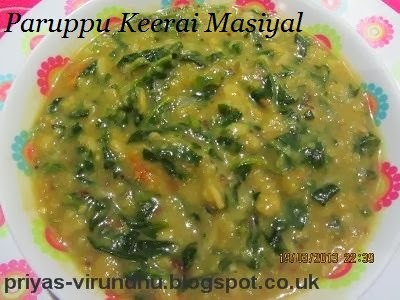 Paruppu Keerai masiyal is a very healthy, simple and easy dish to prepare. 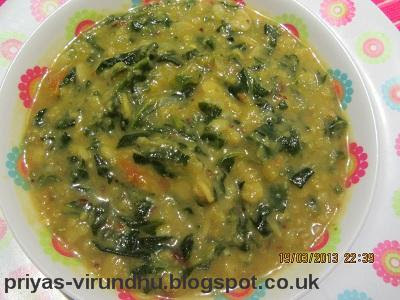 It can be prepared with any other keerai, but here I have used spinach(pasalai keerai). 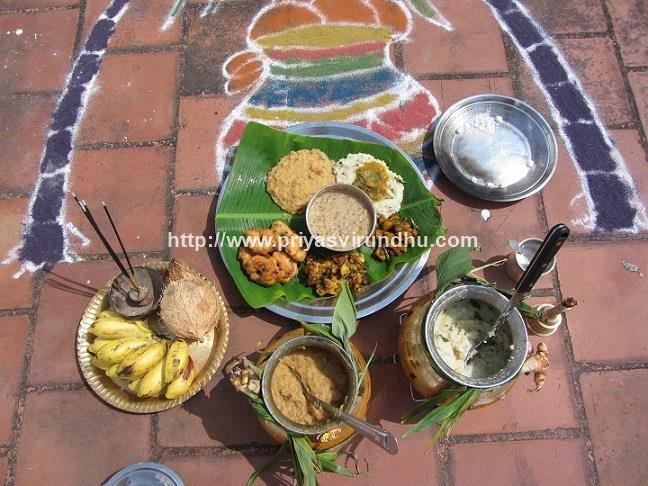 Since most of us living abroad do not get other varieties of keerai’s. Clean and wash the spinach at least two to three times. Chop the spinach and keep it aside. Wash the thoor dhal, add turmeric powder, onions, tomatoes, green chillies and cook in the pressure cooker for three whistles. In sauce pan heat oil, add mustard seeds after it splutters, add cumin seeds, red chillies, curry leaves, asafoetida and sauté for 20 sec. Now add the cut spinach leaves and sauté for 2 min, immediately add the cooked dhal, tamarind and mix well. Bring it boil and switch off the stove. You can mash it with masher or matthu. My mom uses kal chatty which by itself gives an excellent texture to the dhal which cannot be replace by any thing else. 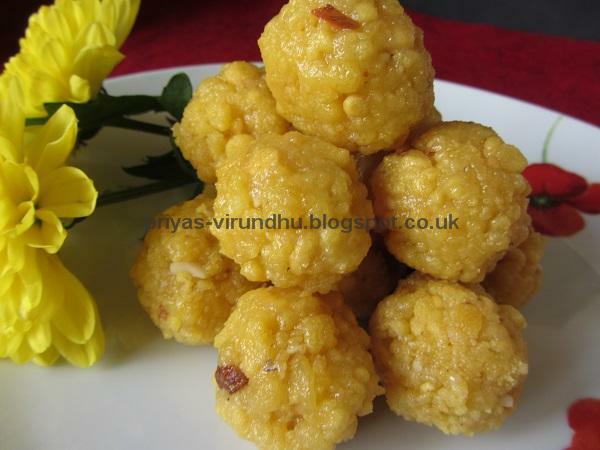 Yummy paruppu keerai masiyal is ready to be served. It can be served with white rice, chappathi’s and rotis. Thank you for visiting my blog, please come back again for more healthy,recipes. 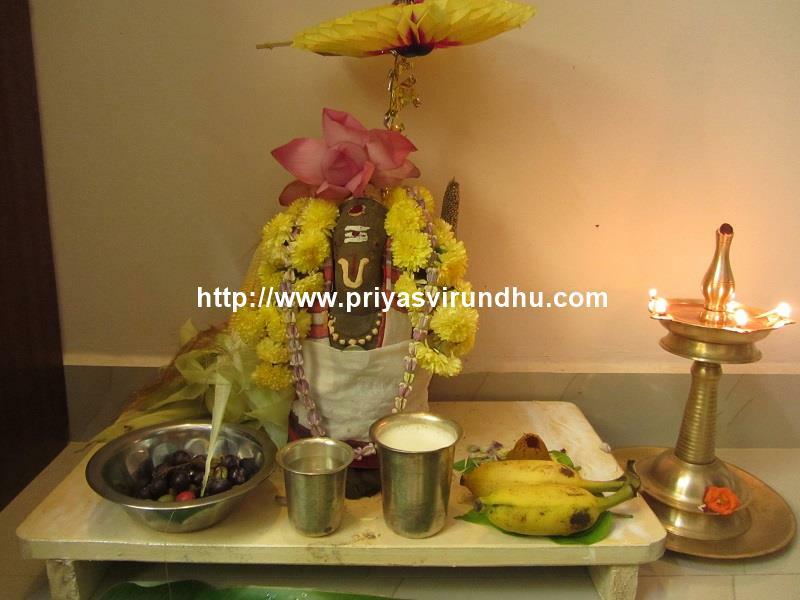 Your comments are very valuable, please post your comments and suggestions here. If you find this post really interesting, it will really be nice if you can share it with your face back fans or twitter friends or pin it or google + circles today. I will be very happy if you can join as google follower, all it takes is just one click. All of this means a lot to me and a great encouragement as well. Healthy dhal. 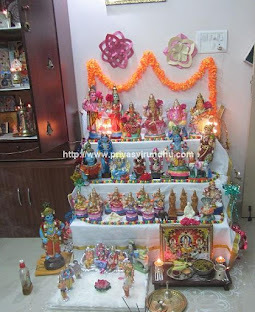 Thank you for visiting my blog and i am happy to follow your blog too. 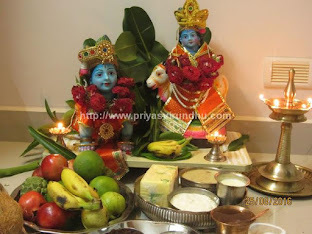 It is good to have leafy vegetables in our diet..
And where u live in London dear?? Coz in Hounslow there is a Tamilian store where u get most kind of keerais..
Nice to know from you Chitz, I live in Macclesfield near Manchester. I don't get much of a choice. Just Methi and spinach. love this combo.. healthy and delicious.. Thank you all for the wonderful comments and encouraging me.